Starting from this week, players in S49 and S50 can now also access the Death Arena. 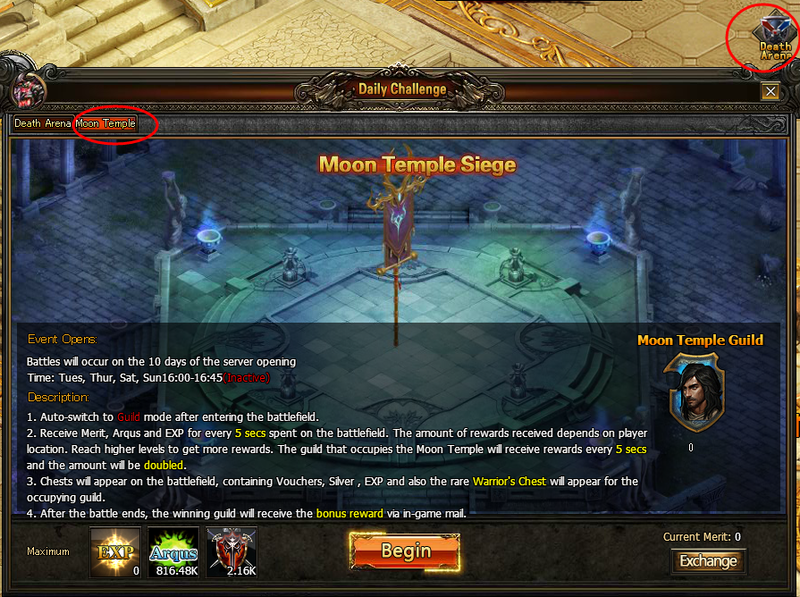 All PDT servers that have access to Death Arena will now also have access to Moon Temple Siege. Moon Temple Siege can also be accessed via the Death Arena (see picture below). The maintenance is expected to last around 3 hours. Please keep an eye on this thread for any updates!